We deliver to all European Union countries. Hand sliced Iberian pata negra shoulder, from Fuente la Virgen. 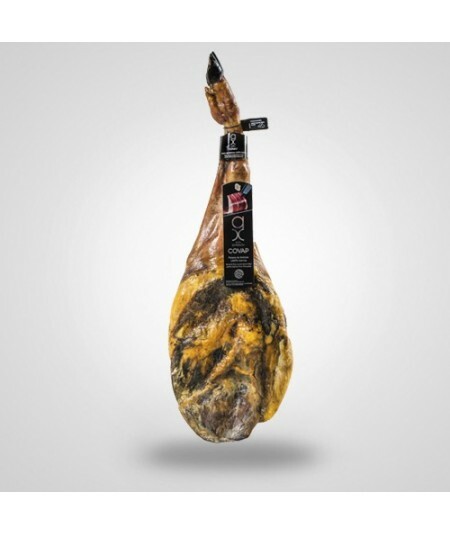 Fuente la Virgen pasture is located in the mountains between North Sevilla and Hornachuelos which has an exclusive stockbreeding of pure bred iberian pig that produces this incredible high quality superham. 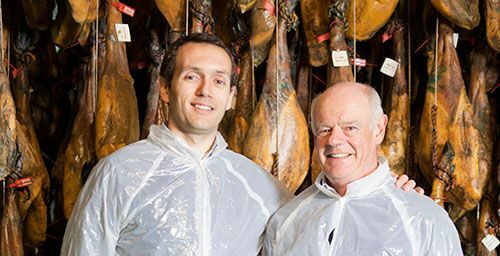 With more than 50 years of livestock experience, Fuente la Virgen combines a careful management and selection of the pure bred Iberian pig (100% iberian mothers and fathers 100% or 75% Duroc fathers) with a natural and suitable environment for their breeding. The mix of holm oak, cork oak and gall oaks, which make up the pasture of Fuente la Virgen, allows the acorns begin to fall from mid October to mid February of the following year, thus ensuring the four month fattening period that are necessary for an Iberian pig to become in one of the healthiest and delicious products of the Spanish gastronomy: pure acorn Iberian ham. We fully recomend you to open the packs 30 min before enjoying the ham, and leaving them on a plate at room temperature to fully taste its flavour and aroma. Remeber you have to preserve in the refrigerator but not to freeze it.